CONSHOHOCKEN, Pa. (WPVI) -- A water main break has affected customer service in Conshohocken, Montgomery County Friday night. 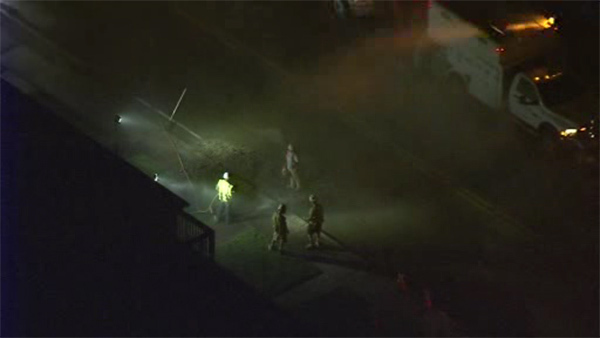 Chopper six was over Elm Street near Colwell Lane shortly before 8 p.m.
Aqua crews were hard at work addressing the waterline fault to an 8-inch cast iron main. The main gave way shortly after 6 p.m. and it affects 150 customers. Aqua anticipates the repair will be completed around midnight. A water wagon is on site to provide water for those affected. West Elm Street is closed between Colwell and Plymouth roads.